Rugged and uncomplicated, the D-Guard Trench Knife is a 440 stainless steel blade reminiscent of the weapons used in eras past. The spear point knife has a wooden grip and an extended guard that shields the hand of its wielder. Two rows of protective spikes line the outside of the D-guard. Gently scalloped for a more comfortable and secure hold, the wood grip features an antique gold tone eagle medallion at its center. 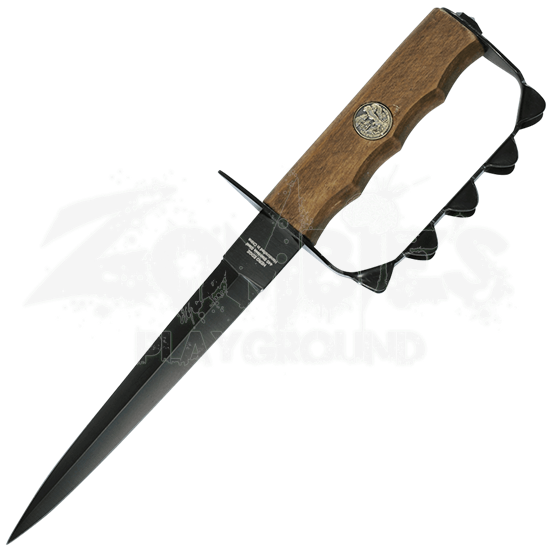 Rustic yet regal, this stainless steel knife has a historical look and structure, making it a must-have display piece and a fantastic addition to the collections of any student of historic warfare. 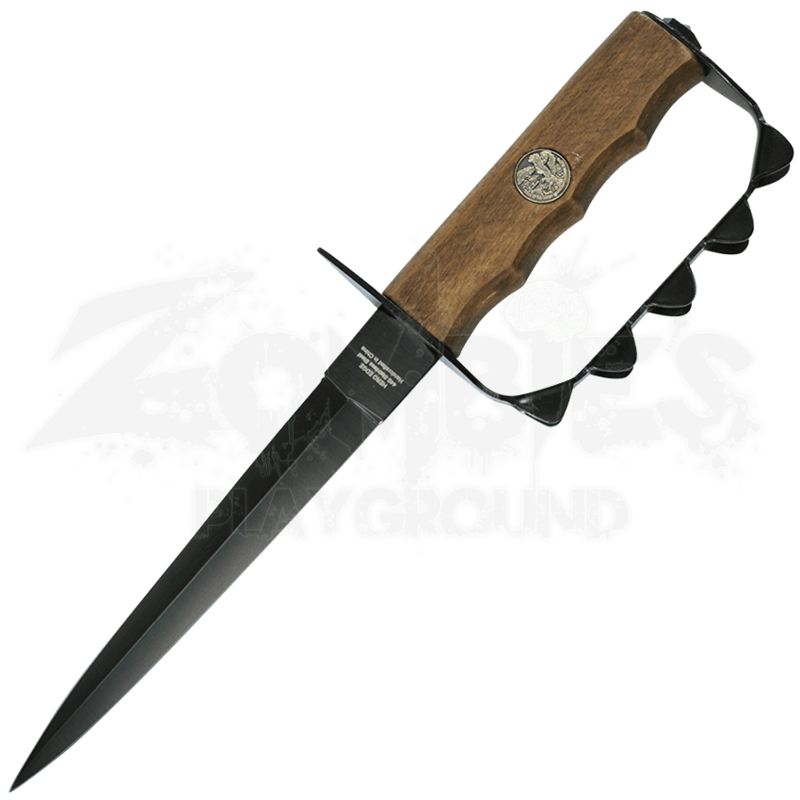 A matching sheath is included with the D-Guard Trench Knife for easy carrying and storage.